Mommy Needs a Mani...: What I'm Loving Wednesday! 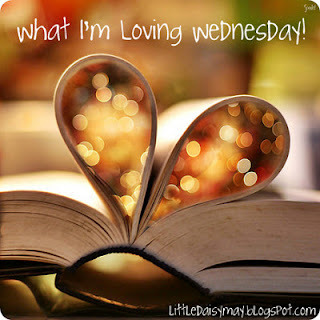 I'm linking up today with this kind of love to share what I'm loving today! Loving my family! We had a great time trick-or-treating! We were out for about 30 minutes (the kids get cold easy and we don't need that much candy) and then took the kids to Starbucks to trick or treat and have a vanilla steamer. This is me with my bestie, Charlie. 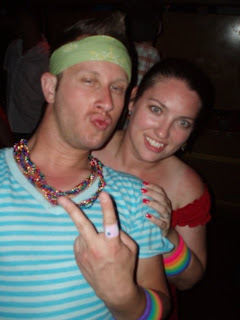 Picture taken at PRIDE Columbus 2009. We are traveling to Columbus this weekend. So, I'm loving him, loving that we will have some "girl time" Saturday. AND loving that he says (after 3 years of living in Canada) he is coming to visit in February!! 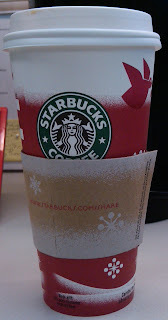 Loving that the Holiday cups are back at Starbucks! Supposedly they came out yesterday, but when my Sweetie brought me my non-fat, extra hot Caramel Macchiato it was in a boring, everyday cup. I don't know what it is about that red cup that just makes everything happy. My little "cup o' cheer". I am SO loving that Bones is back tomorrow!!! Season 7, super excited! Here are the recipes I promised. I forgot to take pictures, I'm sorry. Next time I make it!! Bake 350 degrees for 30-45 minutes or until it browns on top/edges and sauce bubbles through to the top. **if you prepare ahead of time and refrigerate cooking time will be longer. Mine looked like the picture and the taste was amazing! 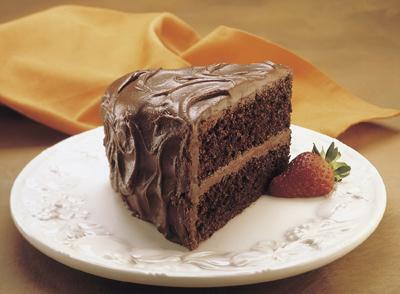 Very rich, chocolate-y YUMMY! 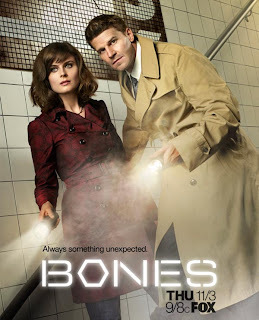 I'm so excited about Bones tomorrow! Eek! Happy Wednesday!